PARANORMAL INTRUDER by Caroline Mitchell is the true story of one family's a haunting by a preternatural spirit. Caroline, her husband Neil, their four children, and other family members and friends dealt with terrifying encounters over the course of several years. Caroline is a police officer in England (who original hales from Ireland) faces a lot of terrible things in her line of work. But nothing prepared her for the abnormal and strange phenomena which occurred in her own home. Objects in the home were moved, destroyed, and often sent like missiles at people. There was a lot of activity involving electrical appliances, and even a few close calls with fires near the house. Most of the activity was centered on her husband Neil. From the beginning, Caroline and Neil and other documented the occurrences with cameras, camcorders and audio recorders. Caroline and Neil sought help from several paranormal investigators, as well as from their Roman Catholic parish, and the Free Church, but to no avail. Neil fell into very poor health. The stress on their marriage, and on their family and friends, was enormous. I won't give away the ending. This book was a page-turner, and I read it in one sitting. 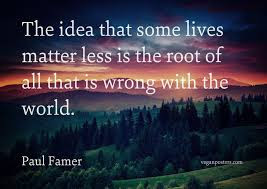 Many people confront evil in their lives, and it was especially difficult for Caroline and her family because it is hard to "prove" that the evil is paranormal. 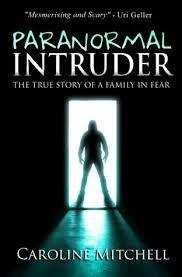 For readers who enjoy true tales of paranormal encounters, I highly recommend PARANORMAL INTRUDER. WARNING: The following link is to YouTube video in which the author Caroline Mitchell discusses the case -- and plays two frightening EVP (electronic voice phenomenon) recordings. Thank you so much Maura for reviewing my book and helping me to spread the word.